Has there ever been a better way to enjoy the great outdoors than from behind the handlebar of a Honda dirtbike? Well, now there is. Because with our all-new CRF250F, life behind those bars is a little more enjoyable in a whole lot of ways. First off, there's the overall size. A two-fifty is big enough for some real adventures, but not too big or heavy enough to be intimidating. 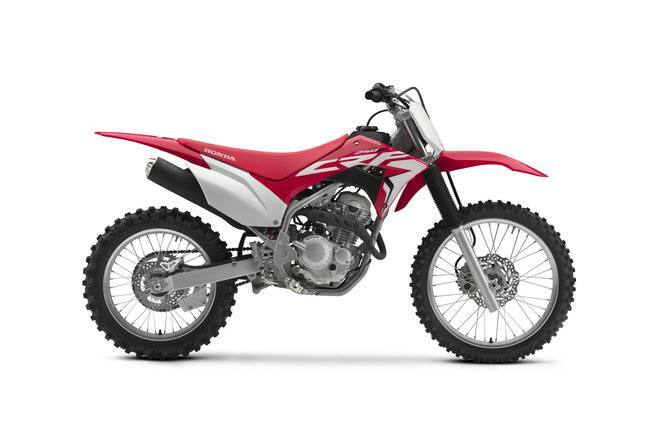 The CRF250F's all-new engine is designed with a wide powerband, and the new fuel-injected design makes starting easy, and automatically compensates for cold weather or high altitudes. The tough twin-spar frame is lightweight, yet built Honda tough to handle the dings of off-road riding. An electric starter makes getting underway a snap, and the styling is right off our championship-winning CRF motocrossers. 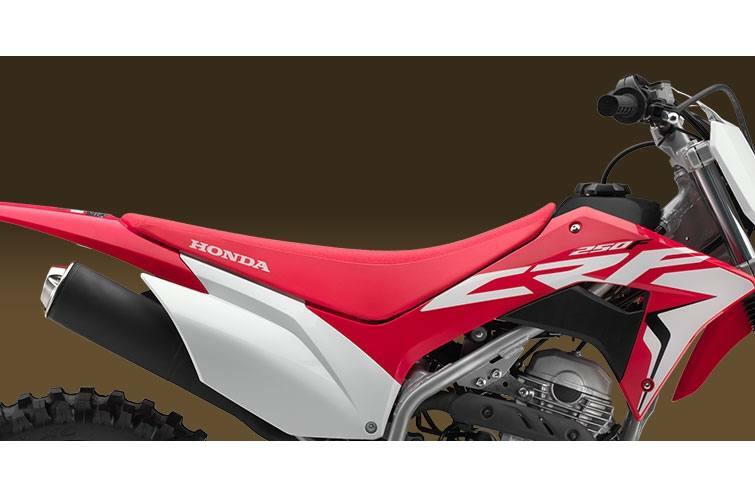 Not too big, not too small, if there's one bike that's sure to please the maximum number of riders in your household, it has to be Honda's new CRF250F. Fuel Injectio: Say goodbye to clogged pilot jets forever! Fuel injection means the CRF250F starts right up and runs smoothly, even in cold weather. Electric Startin: Fun bikes are supposed to be about fun. And kickstarting a bike is nobody's idea of a good time. On a CRF250F, you just push the button and go. Strong, Light Twin-Spar Fram: The new CRF250F gets an all-new frame too: a tubular-steel twin-spar design that's both light and tough. 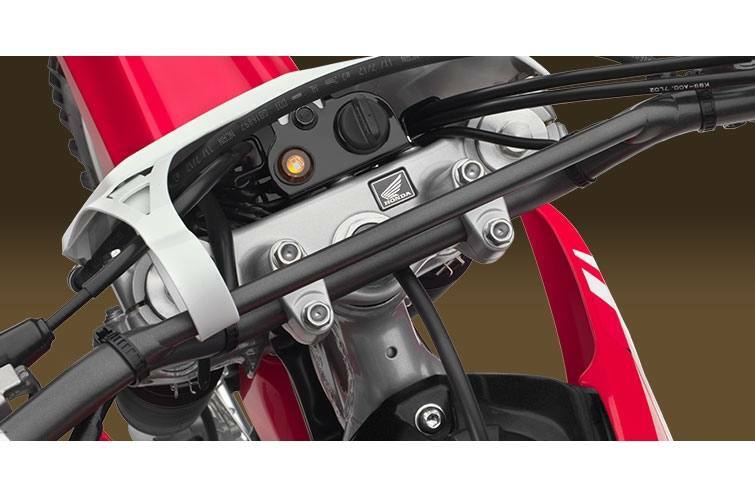 Disc Brake: The new CRF250F features powerful disc brakes both front and rear. Stopping is serious business on this bike! 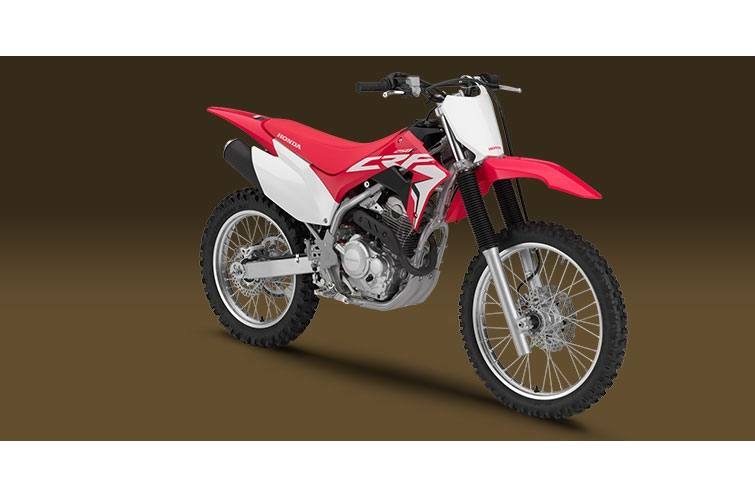 Counterbalanced Engine: Because it features a counterbalancer, the CRF250F's engine is a smooth runner. You get the narrow overall width and power advantages of a single along with the smoothness of a multi-cylinder bike. 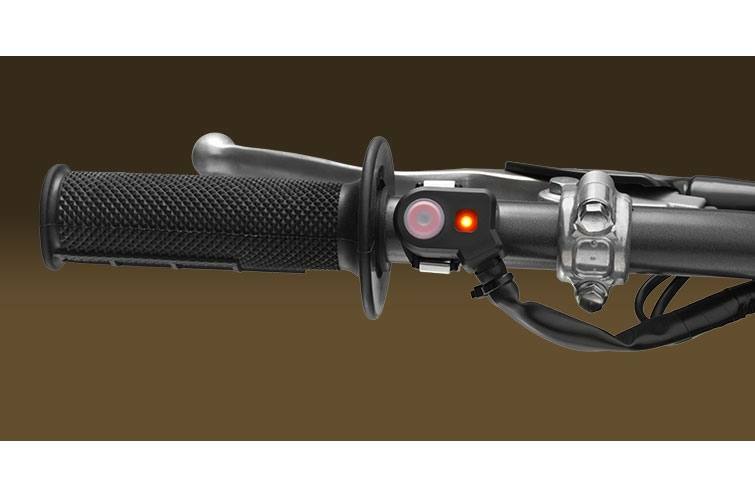 Electric Starter: Turn the key, push the button, and let's go riding! Electric starting is a big help on cold mornings, or if you need to restart out on the trail. 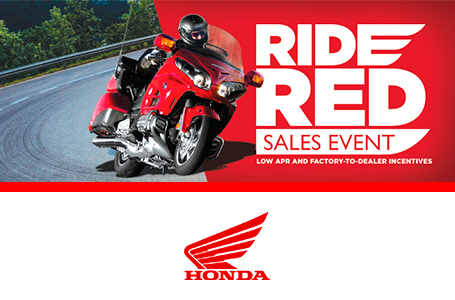 Honda's proven system makes riding just that much more fun. MX Styling: Honda's CRF450R and CRF250R are two of the hottest motocross bikes on the circuit. And they're some of the coolest looking. We gave the new CRF250F plenty of that racing DNA when it comes to style. This is one bike you'll be proud to ride! Petal-Disc Front Brake: Check out that front brake rotor—the petal-disc design is right off the competitive MX circuit. It's light, runs cooler, and also helps reduce unsprung weight. Strong, Light Twin-Spar Frame: The new CRF250F gets an all-new frame too: a tubular-steel twin-spar design that's both light and tough. Showa Fork: The telescopic Showa fork features large 41mm sliders. That makes it strong and helps add to the CRF250F's excellent handling. 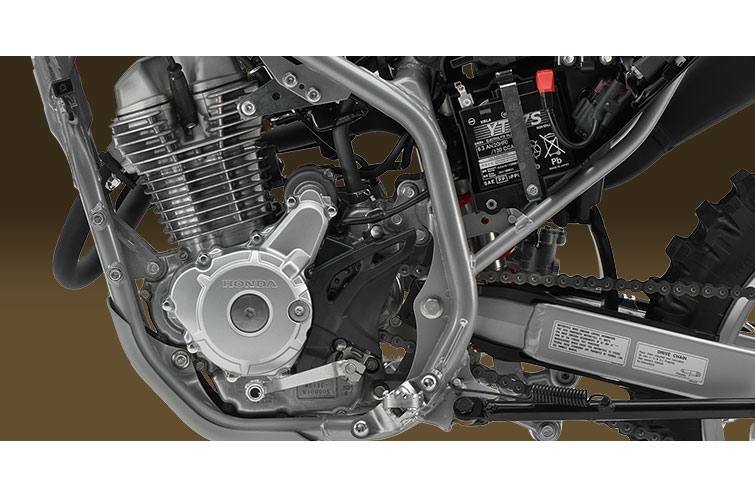 Clean-Running Engine: Another benefit of fitting the CRF250F with fuel injection? Now it even meets California's stringent CARB emissions standards for off-road motorcycles—good news for everyone. Note: Six Months, Transferable limited warranty. Extended coverage available with a Honda Protection Plan.